This divine Girls Ostrich Feather Cape is hand made from specially crafted and hand dyed ostrich feathers. An ethereal and spectacular wardrobe item fit for a princess! The girls ostrich feather cape sits on top of the shoulders and has a satin ties which can be tied at the front to hold the cape together. These capes come in two sizes; a S/M which we recommend for ages 1 - 5 years old and a M/L which we recommend for children 5 - 12 years old. 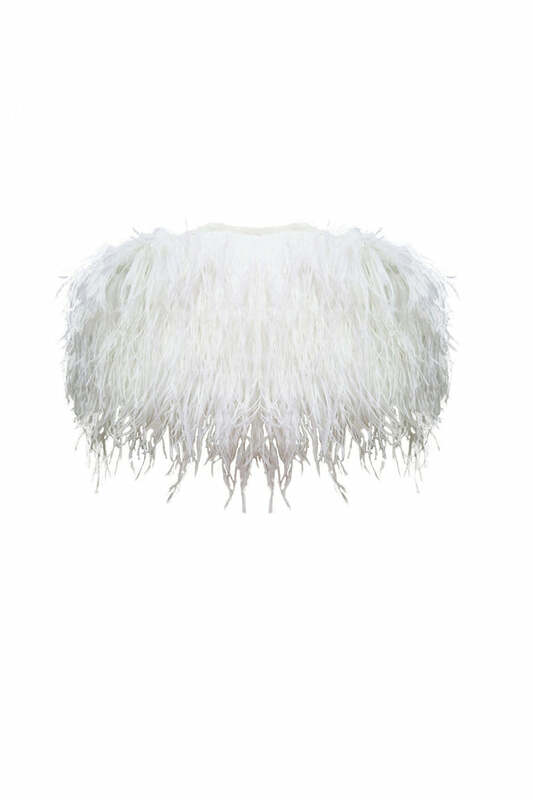 Made from 100% marabou feather with satin lining. 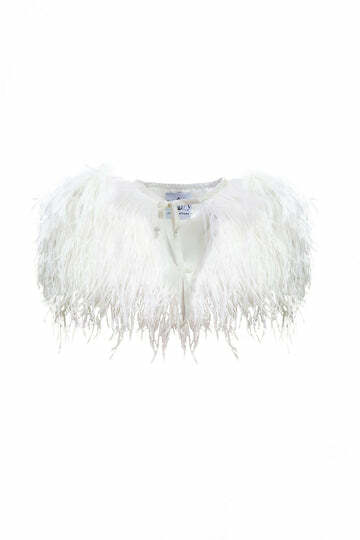 This cape ties softly at the collar with a gorgeous satin ribbon. Refer to product size chart for exact measurements.